It's big, shiny and always churning. And it's fancy -- a whole lot fancier than your corner Starbucks. Dubbed the Starbucks Reserve Roastery and Tasting Room, the gigantic facility will open its doors Friday in Seattle. Calling it "a metaphor for the entire company," Starbucks (SBUX) CEO Howard Schultz said he first dreamed up the idea a decade ago. Starbucks has spent the last two years turning it into reality. "This is all about elevating the experience, beyond any coffee experience, or retail experience, anywhere in the world," he told CNN. "I wanted to ... create this multi-sensory experience with theater, romance, drama." In fact, Schultz called it nothing short of the "Willy Wonka of coffee." 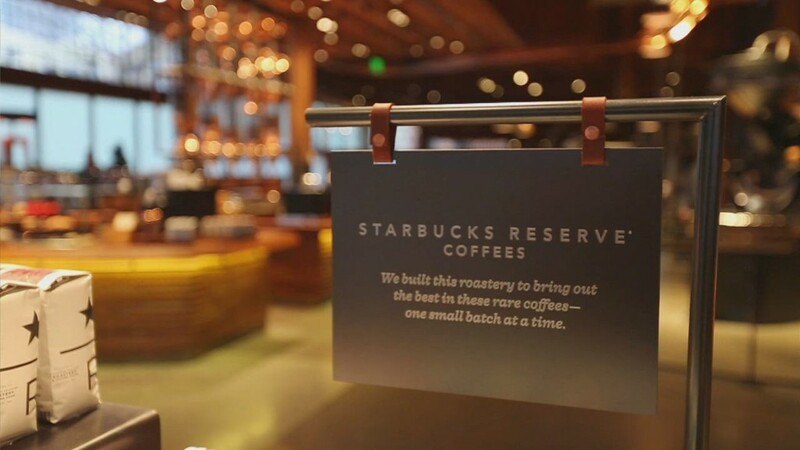 Starbucks Reserve Roastery will roast all the coffee it serves in store. It will also package coffee and sell it at other locations in 2015. The plan is to expand the Reserve Roastery model globally with the next opening likely in Asia in 2016. "Let's intoxicate people as they come in and let's take them on a magical carpet ride, and it will create a halo on everything Starbucks," Schultz said at the company's biennial investor meeting. That "intoxication" will come at a premium price -- with price tags for the specialty brews ranging from $3 to $6.50 per cup -- roughly a 40% to 50% increase over typical Starbucks stores. Schultz insists the project is "not a vanity play for the company, or for me," and notes that the new stores could eventually serve beer and wine in the evening. Creating a halo is especially important for Starbucks' growth now that the chain is found almost everywhere. That omnipresence, Schultz says, may hurt some customers' perceptions about the quality of Starbucks' coffee. Schultz has described this perception as nonsense. But coffee addicts shouldn't expect to see a Starbucks Roastery on every corner. They're expensive to build, although Schultz insists they will be profitable. What you won't find anywhere in the Roastery -- green aprons or that ubiquitous green siren. The reserve roasts carry a new "R and Star" logo. At the investor meeting, Schultz announced an ambitious plan -- to nearly double revenue to $30 billion by 2019. 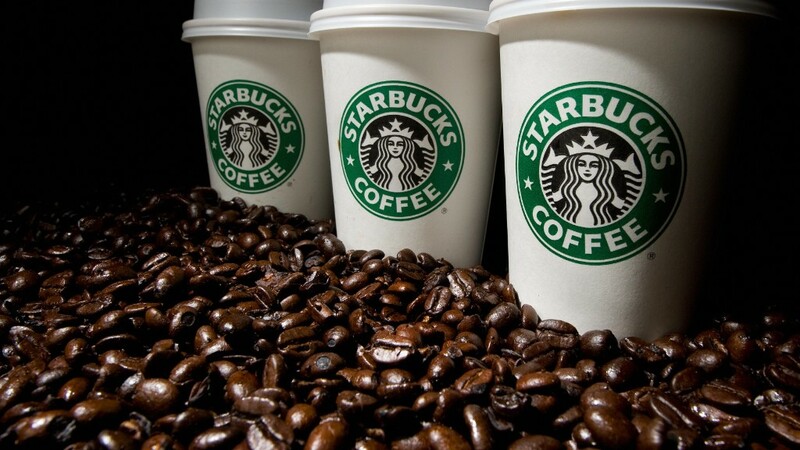 To reach that goal, Starbucks must sell a lot more coffee, tea and food. But Starbucks is confronted with a big challenge: It must attract new customers to its brick and mortar stores, and it must do it in an increasingly digital world. The move comes as Starbucks begins a pilot "Mobile Order & Pay" program -- first in Portland, Oregon, with plans for a broad roll out next year. Schultz said that Starbucks processes some 7 million mobile transactions a week. That means about one in every seven dollars customers spent at the chain is paid via mobile. The company is squarely focused on increasing that number. Schultz has hinted Starbucks could spin off its mobile payment system into its own company. Plus, Starbucks delivery is on its way -- a product Schultz has called "e-commerce on steroids." In Starbucks' ideal world, you'd have a standing order for your coffee and food item of choice delivered to your home or office daily. With all those plans brewing, Schultz says he's still not satisfied -- and wants to build "a company for the ages."